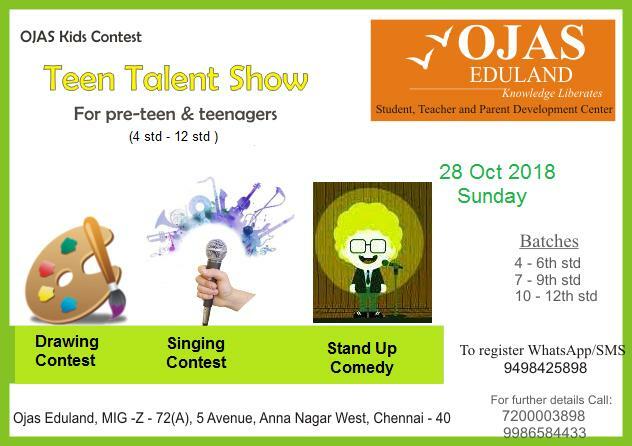 “OJAS Eduland” conducts Teen Talent Show for 4th std – 12th std kids on 28th Oct 2018, Sunday. Participants have to bring Pen / Pencil / Pad & colouring materials. Quarter size plain chart will be provided for drawing.